Benedictine (GB) Your browser does not support any audio element. The Catholic Order with the well-known religious rule "ora et labora" (pray and work) and black robes was founded by the later canonized Benedict of Nursia (480-542) around the year 529, the first monastery was (severely destroyed in the Second World War ) Montecassino in the southern Italian region Lazio, In the Order Rule he wrote about the Weingenuss analogously: "Taking into account weaker brothers, we believe that one hemina (about 0.27 l) a day is sufficient. But those to whom God has given the gift of abstinence may know that their special reward awaits. But if circumstances make it impossible for that measure to be said, but much less, or nothing, we exhort the brothers to abstain from grumbling " (see many other sayings about wine under Quotes ). The Order also introduced the first monk as Pope, this was Gregory the Great (540-604). 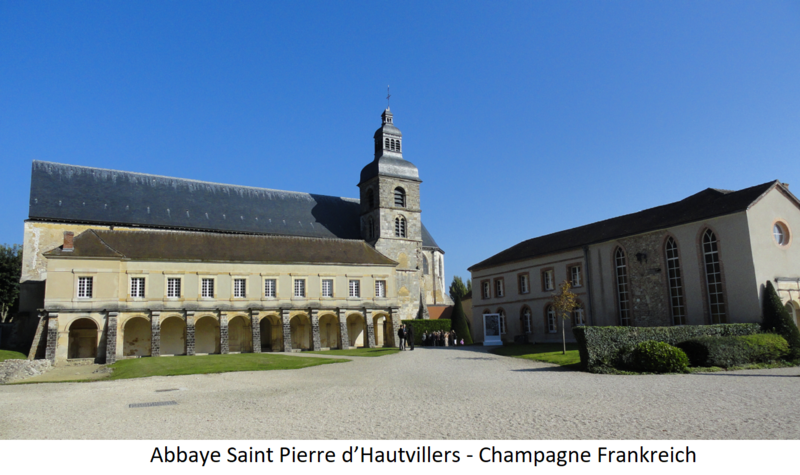 The Benedictines developed into the most important order of the Middle Ages and, with their numerous branches, played a significant role in missionary and cultural development in Europe, especially in agriculture and viticulture. 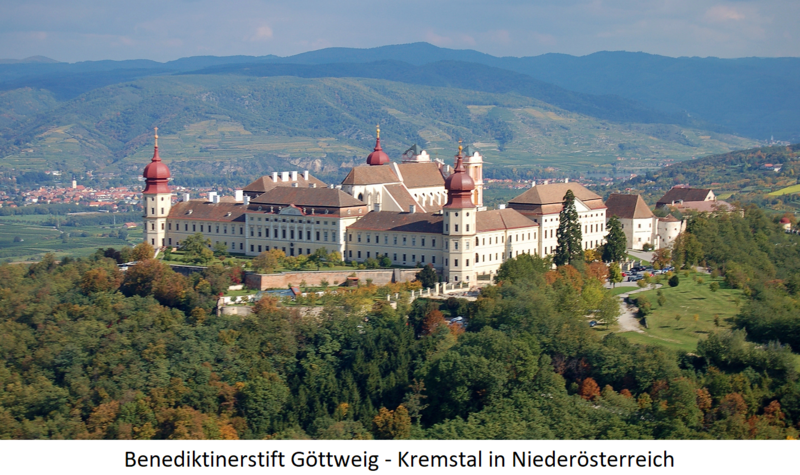 In it also Benedictine convents led by nuns emerged, for example that of the famous mystic and abbess Hildegard von Bingen (1098-1179) founded monastery Rupertsberg Bingen-Bingerbrück in today's German wine-growing region Near, The Benedictines were among the emerged from them in the 11th century as a reform movement Cistercians and the Carthusians to the largest vineyard owners of the Middle Ages. Their vineyards were in today's world famous wine regions. In the reign Charlemagne (742-814), some large monasteries were founded, including those of the later canonized Boniface (672-754) Fritzlar, Fulda and Lorsch. 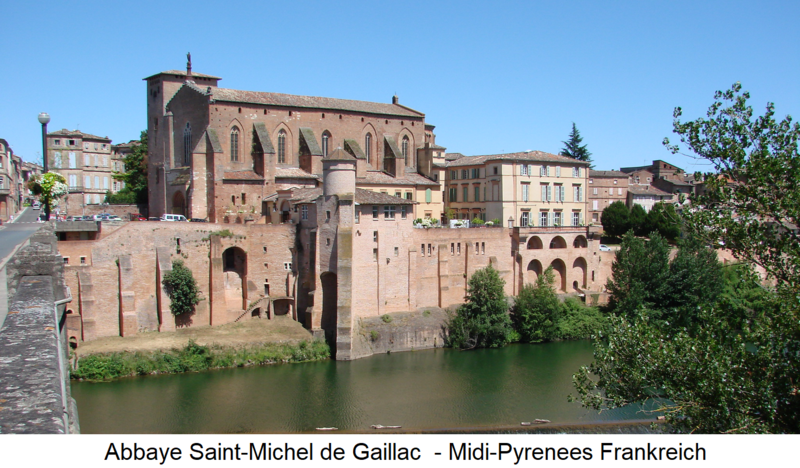 In the 10th century by monks was the Abbaye Saint-Michel de Gaillac in today's appellation Gaillac founded in southwestern France and revived the viticulture there. Around 1100 they founded a monastery at the later named Johannisberg in the Rheingau. As a result, they planted vineyards on the Rhine, in Franconia, in Alsace and in Switzerland on a large scale. 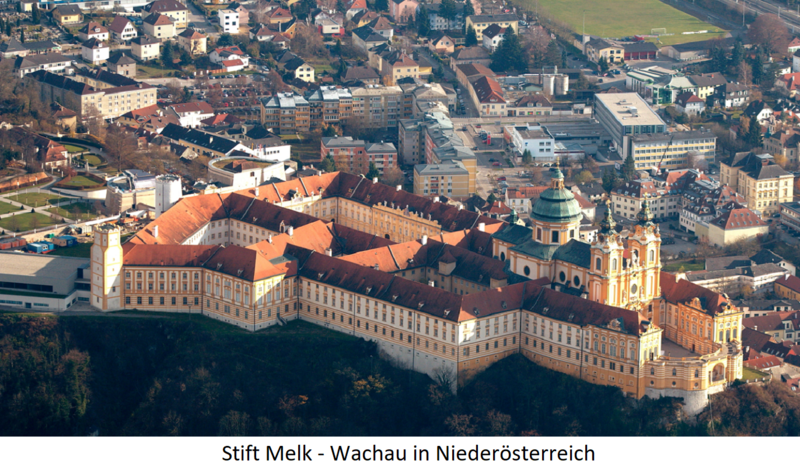 In Austria, the monks were the Melk pins in the Wachau (976) and Göttweig in the Kremstal (1072) founded and also influenced the viticulture significantly. In 1098, as a reform movement, the Order of Cistercian which continued the winemaking tradition on a large scale. In 1716, the dilapidated Benedictine monastery Johannisberg (cultivation area Rheingau ) bought with all the vineyards and today Castle Johannisberg built. Here also in the year 1775 the famous history of the Spätlesereiter and on this basis the "invention" of Spätlese. By the way, the Prince of Fulda was ordered a little later, all red grape varieties and the white one Elbling and replace it with the "Rüßling", which until then had been regarded as less important. Thus, the Benedictines were also instrumental in the distribution of the grape variety Riesling involved. The Benedictines are still with about 12,000 members one of the most influential orders of the Roman Catholic Church. This page was last modified at 6 October 2018 at 13:54.